Looking into the serene face of Jennifer Zeng it is hard to believe she has suffered unspeakable torture and been imprisoned in a Chinese forced labour camp-all for believing in, and practicing Falun Gong. 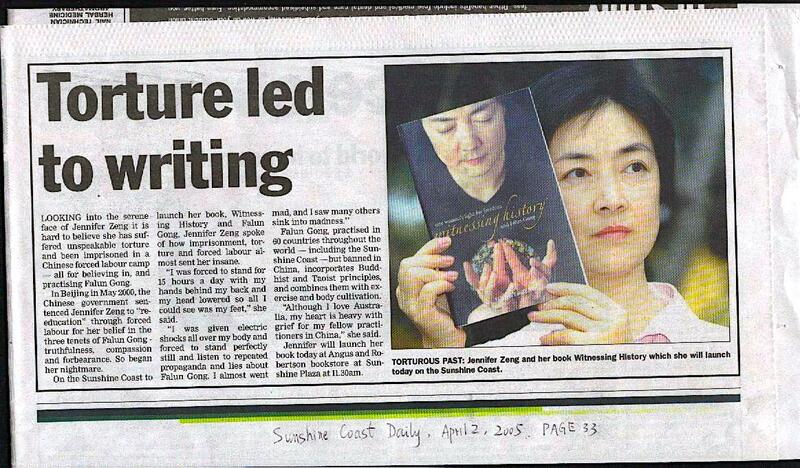 In Beijing in May 2000, the Chinese government sentenced Jennifer Zeng to “re-education” through forced labour for her belief in the three tenets of Falun Gong-truthfulness, compassion and forbearance. So began her nightmare. 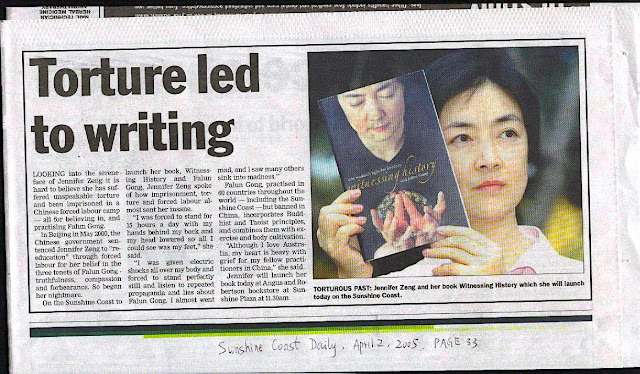 On the Sunshine Coast to launch her book, Witnessing History: one woman’s fight for freedom and Falun Gong, Jennifer Zeng, spoke of how imprisonment, torture and forced labour almost sent her insane. “I was forced to stand for 15 hours a day with my hands behind my back and my head lowered so all I could see was my feet,” she said. Falun Gong, practiced in 60 countries throughout the world-including the Sunshine Coast-but banned in China, incorporates Buddhist and Taoist principles, and combines them with exercises and body cultivation. “Although I love Australia, my heart is heavy with grief for my fellow practitioners in China,” she said. Jennifer will launch her book today at Augus and Robertson bookstore at Sunshine Plaza at 11:30am.